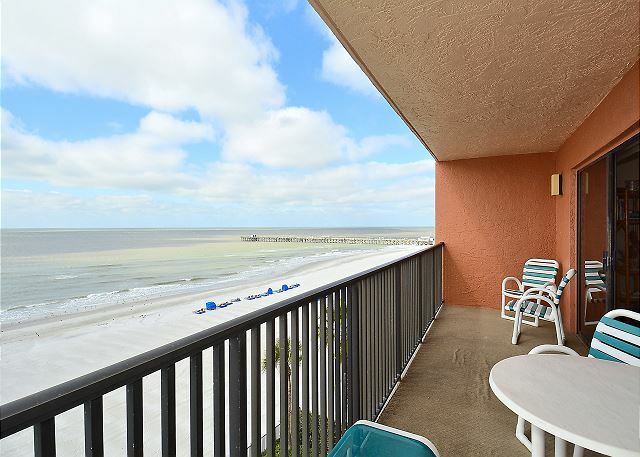 This Gulf front condo has the comforts of home plus a million dollar view! 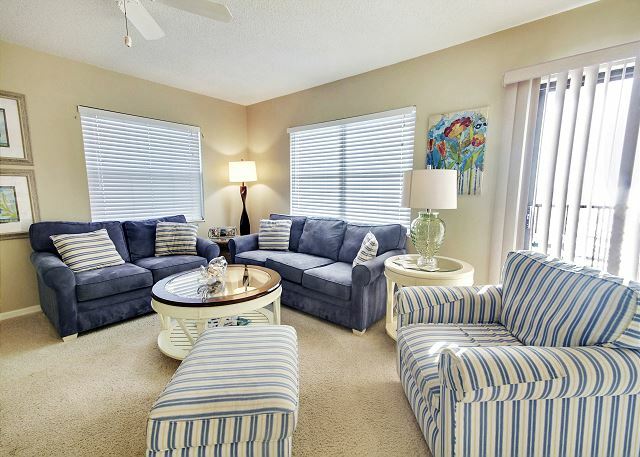 The large private balcony facing the beach and the Gulf of Mexico is a great spot for relaxing. The kitchen is well equipped. 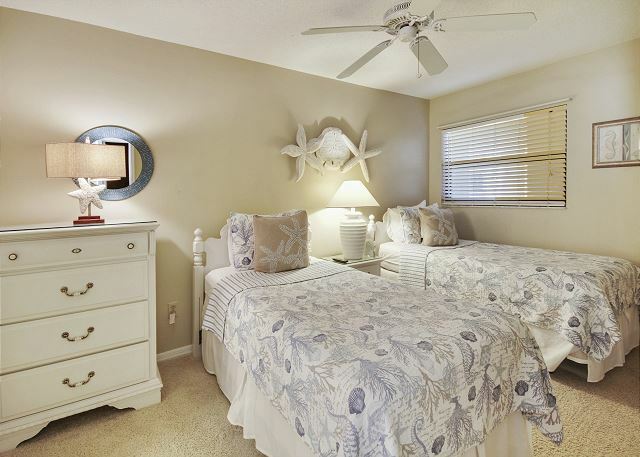 This condo is located in North Redington Beach not far from restaurants, shops and other activities. Famous John's Pass on Madeira Beach is just a short drive or a couple Trolley Stops away. It has free wireless internet service. This is a non-smoking property with the exception of 2 designated outside smoking areas. Very comfortable. Light bulbs needed to be changed. Other than that we had a wonderful stay. Other guests/owners were kind and helpful. Our unit was very clean and had everything we needed. Wonderful, we are so glad you were happy and comfortable during your stay. So sorry if the light bulbs were not swapped out before your arrival, that is definitely something that was to be done on our end and we apologize for that!!!! Please don't hesitate to call us at our office, we can get that quickly remedied for you, but again, do apologize if that was missed. Thank you for being our guest and we hope to see you back on North Redington Beach for another visit in the future. 4 star property w/ great price and limited number of units. Pros: Beach front with awesome view of gulf and pool, on property parking, elevator, shared coin op laundry alternating floors, very FIRM queen beds. Basic cooking items, plates, silverware etc provided. Renovated bathrooms with dated but fully functional kitchen. Cons: High flow shower heads deplete hot water supply quickly with multiple guests. One bedroom did not have TV set up. Suggestions to owner or tenants, supply /bring basic spices if you cook - a small amount of salt and pepper was provided. bring/buy coffee tea bags, sugar or sweetner, and suggest a small kitchen scrub sponge / cloth and dish soap in addition to dishwasher detergent. Loved the location close to convienence store, easy access to nearby restaurants / bars & John's Pass for souviener shopping. 3 BR arrangement worked great for our party of two couples and two singles. We loved it and the Resort Rentals team was terrific to work with! 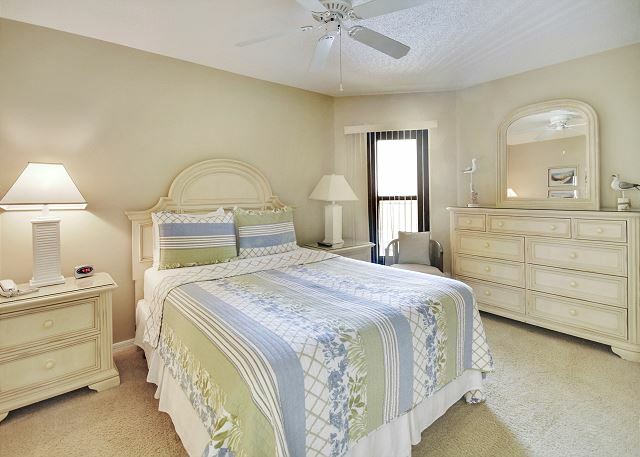 We'd certainly return and DO RECOMMEND this unit at the Emerald Isle in North Reddington Beach, FL. 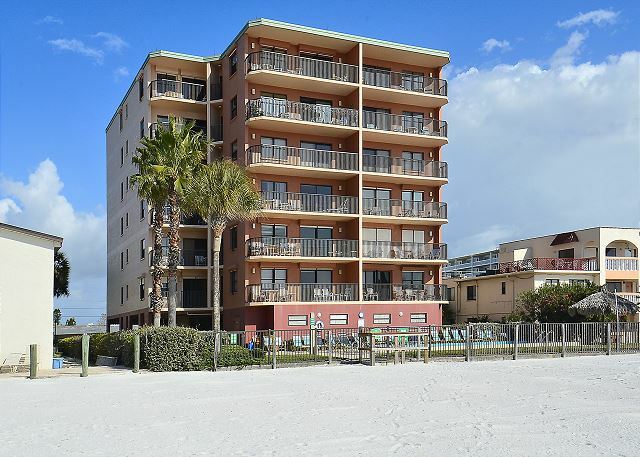 Glad to hear you enjoyed your time in this beachfront condo on North Redington Beach and that the 3 bedroom option was comfortable for you all. We will be sure to share this feedback with the owners for their review and knowledge on the items listed for the condo. We leave a "starter" supply of just a few basic items to get our guests started in the condo, outside of that each condo will be stocked differently by the different owners. Thank you for choosing to stay with us and we hope to see you all back for another beach getaway soon!! Being from this area My experience was nothing less than great my wife was very happy with everything. Thank you, from the Dixon family! You are so welcome Dixon family, thank you for staying with us!!! :-) Come back for another visit soon! The location was great. Close to several restaurants and shopping. The beach was beautiful! Very clean, water crystal clear and plenty of room for soaking up the sun, as well as playing volleyball etc. Overall it was a great vacation. One complaint, the furniture in our condo was in poor shape. And not very clean. The patio furniture was in poor shape as well. I also wish there was an easier way to go from the condo to the pool to the beach. I appreciate the security, but you needed a key to get to each location. We had a group of 6 and seemed the 2 sets of keys were never where we needed them to be to get to the next location. Other than that I would definitely go back! Loved the area! Thank you for your feedback from your stay with us and we will be sure to take a look at the furnishings in the condo, thank you for sharing that! We do understand that the key system can get to be a bit much as you come and go, it is for everyone's security though like you said but we will share this with the condo association as well as they ultimately are in charge of the system on the grounds. Outside of that, we are so glad you enjoyed the location and the awesome stretch of North Redington Beach that the Emerald Isle is on and we hope to see you back for a future visit! We have a family vacation every year at the Emerald Isle we love the facility and the vacation or four families of us that usually stay at the same time great facility looking forward to next year. Awesome, sounds like a fun time!!! :-) Thank you all for staying with us for your family fun and we will see you back on the beach next summer! When asking our nephew what he wanted for graduation, he said the "beach"! 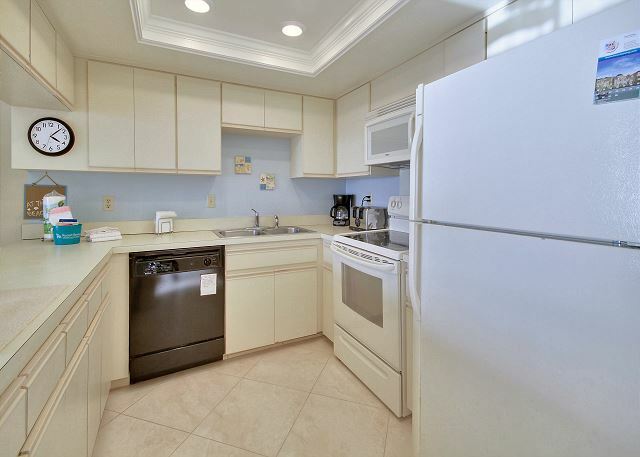 WE have rented this particular 3-br condo before so we knew what we were getting and the area. We could not be more happy with the location and for the most part the condo itself. The condo is showing some wears, but that is somewhat expected with the amount of use the condo gets. The rental company has always be receptive when we have brought things to their attention. We love the view of the gulf and the nearby restaurants. The unit does not have washer/dryer in the unit, however they are some located in a common area. We plan on staying here again with our family. What an awesome graduation gift, we hope he enjoyed his beach present!!! :-) Thank you for choosing to stay with us for your family vacation and we look forward to seeing you back on North Redington Beach for another getaway in the future. The location is great. The rental needs new patio furniture, the 3 chairs were broken. I would suggest the carpet be replaced in the living room dining room with something like laminate flooring. The carpet was dirty. The ottoman in the living room was all ripped and the living rooms furniture is soiled in spots. Time for some new furniture. Just a little sprucing up makes a big difference. overall the view from the deck is beautiful. We did enjoy our vacation there and look forward to returning just hope there is a little sprucing up. Thanks again. Thank you for your feedback from your recent stay at Emerald Isle. We will most certainly take a look at the items you had listed here and we will also be sure to pass this over to the owners for review. Please do not hesitate to contact us at our office if anything is not up to par for you and we would be more than happy to try to get things corrected. We want you to be totally comfortable during your stay so please let us know if we can help with anything. We have quite a large inventory in the surrounding area, if this was not the right fit for you we are sure we have another that is!!! :-) Thank you for being our guest and we hope to host another beach vacation for you in the future. We usually stay here. It is a well maintain building. The condo is very cl am and spacious with grey views. Thanks for the post! We are glad to hear you were comfortable during your stay at the Emerald Isle and we agree, those are some GREAT Gulf views!!! :-) Thank you for being our guest and we look forward to having you back for another visit! We stayed for a week at this rental and we had a wonderful time. The location was amazing couldn't be any closer to the beach. Close to some wonderful restaurants and shopping. The place was very nice, the bathrooms have been remodeled and were so pretty. Hopefully they will redo the kitchen to match, but the kitchen did have everything that you need. The building has only 24 units and was very quit. Pool was very nice. The only draw back was there wasn't a washer or dryer in the unit. They did have them on the 2th, 4th and 6th floor, $2.00 to wash and dry. Bring lots of quarters, if you plan on doing laundry. The unit had lots of towels but bring your own beach towels. The furniture was ok, couches were comfy, so was large chair but it was a little dirty. The chairs in the dining room could of used a little support under them but they did the job. Beds were ok, pretty comparable to other places we have stayed. I would definitely recommend this rental to my friends and family. Thanks so much for your post! We are so glad you had a good stay at the Emerald Isle property, it really is an ideal location!! We will be sure to pass all of the feedback over to the owner as well for their review and knowledge, thanks so much for that! It is true that this location does not have in room washer and dryer but they do have coin operated machines on the property. This is one location that is not set up that way but if in room washer and dryer are a priority for you, we do have other locations that do provide that that we would be happy to help you with. Beach towels are one item that we ask our guests to bring as we have found they are always going missing, so yes please bring beach towels! :-) Thank you again for staying with us and we hope to have you back on our beautiful beaches again soon! Overall the stay was nice. However, there were some things we were not pleased with. The dishes were dirty upon arrival in the drawers so we had to wash everything. We didn't like the parking since it was only one spot you couldn't have other vehicles for a big condo or guests. The keys that come with the building you couldn't access the back door (no ones keys worked). And lastly the cleaning company. They don't speak English and we're extremely rude when trying to get out on time they made it almost impossible...they wouldn't let us on or use the revelatory we literally had to take the stairs or wait for 15mins until they were done using it causing checking out on time to be difficult and that was us thinking we were getting out an hour early we wouldn't have to rush. Also the condos' walls are very thin. We constantly heard the people above us running and talking. But Other then that the experience was great. We enjoyed the size of the condo and that convenience to the beach. Thank you for this post. We are happy to hear that you enjoyed the condo itself and the location, it really is a great spot directly on the beach! We are very sorry to hear about the other items that you has listed here! We most certainly will be sure to pass this over to the head of our housekeeping department so she is aware of this feedback. We are so sorry if you felt rushed by this, we will be sure it is addressed and please accept our apologies on their behalf. In regards to the keys, we will take a look at this and also notify the condo association should it be something that is going on with the actual lock. Please don't ever hesitate to contact us at our office with any of these problems and we are more than happy to help how we can!! We want you to be totally comfortable during your stay so let us know if we can do anything for you. We hope to see you on our beautiful beaches again for a future vacation. The place had an amazing view and outdoor patio! Bathroom upgrades were nice. Loved the location. Negatives..the carpet was all dirty and stained. The keys didn't work half the time Same with the intercoms. It would be nice to have 3 sets of keys since we had 6 people staying in the unit. Also missing light bulbs. Called and nobody ever came to replace them. I would stay there again if the carpet would be replaced. My family and i have stayed at this condo in different units before. 502 Was very clean comfortable and roomy. The bathrooms were up to date. You could not ask or find a better place to stay! All the surrounding restaurants are great. Not to far from a grocery store. Laundry mat on every other floor. Its just perfect! We will come back to this unit! So great to hear!! 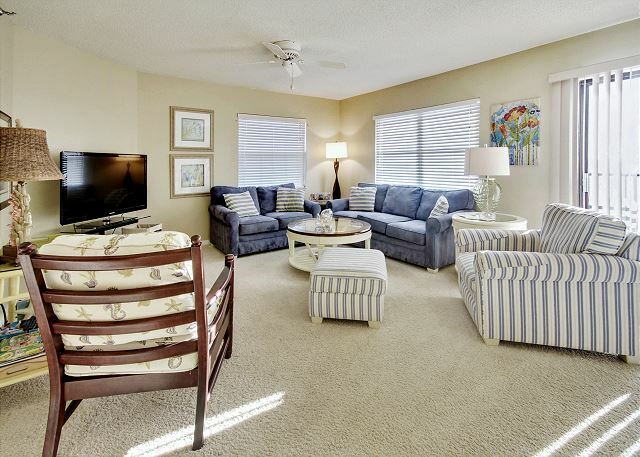 We are so glad that you had a good stay in this 3 bedroom condo at Emerald Isle; the location really is ideal and close to all that you need, we agree! :-) Thank you for being our guest and we hope to have you back for another awesome beach vacation very soon!! We stayed here in April, 2017. This was a lovely spacious condo with a beautiful view! The only thing I would have to say is that the carpet in the living room and dining room area should be replaced with some kind of other flooring. It seems to be old and didn't look very clean. All in all a very nice condo. 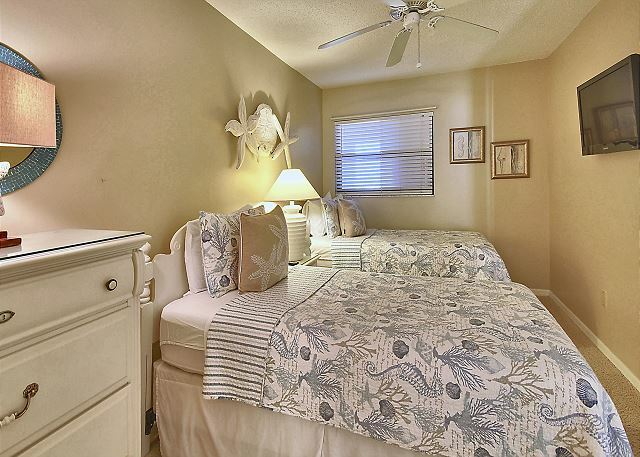 So glad to hear you enjoyed your stay on North Redington Beach in this 3 bedroom condo at the Emerald Isle! :-) We do apologize if the carpeting in the condo was not the best fit for you and we will be sure to pass the feedback over to the owner for their review, thank you for that! Thank you for choosing to stay with us, we enjoyed having you and we hope to host another FL beach vacation for you soon! Rental process was simple,fast and convenient. Location was great, very easy to find different stores and entertainment. The rental was great being able to watch the sunset off the balcony every night was amazing! Over all clean place however rugs and furniature could use a good cleaning. Kitchen was functional and a good size, cabinets a little outdated but was not a problem. Both bathrooms were very modern and nice, also bedroom were good sizes. 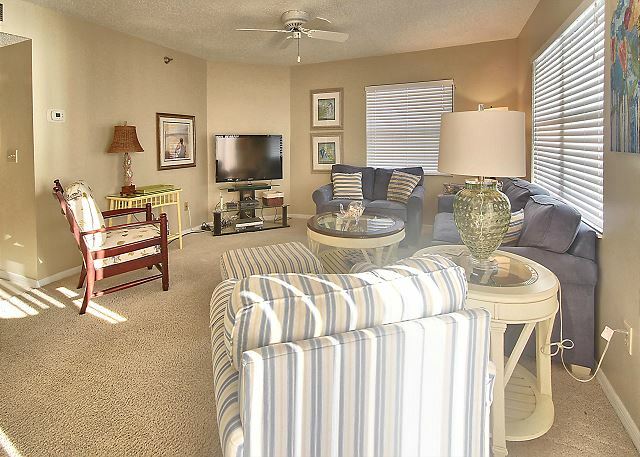 Glad to hear you enjoyed your stay on North Redington Beach at the Emerald Isle, it really is an ideal location! We apologize if the rugs and furniture were not as sharp as they could have been and we have passed this over to our housekeeping, thank you for letting us know! We are glad this condo and location were a good fit for your beach vacation and we hope to host another FL vacation for you soon! We throughly enjoyed our stay. The view was incredible, the rental was spacious and clean. I liked the scurity to acess to the pool and beach, since i have young children. The only thing that I can complain about is the dishwasher. It didn't clean the dishes so we had to handwash them. With that, I would definitely recommend and stay again. My boys are already planning to return! This is our second time to vacation here and we absolutely love the Emerald Isle property. You can’t beat the location and the beach is beautiful. Our condo fits our family needs perfectly. Whether it’s the pool or the beach, both are easy to get too. We were very satisfied and plan on returning again. Our stay was very nice. We will definitely be back for future vacations. Very peaceful and family friendly. Very pleased. My overall experience was good. The condo was clean and nice. The unit above us always sounded like they were going to come through the ceiling on us . The only thing I didn't like was the washer and dryer, you have to pay $1.00 to wash and to dry your clothes. I think they need to offer the washer and dryer free to the their guests. Thanks for your post! We are glad you had a good experience, minus the noise above! We do have other properties in our program that offer in room washer and dryer and perhaps that could be a good fit for you the next time around. The Emerald Isle property is one location that has shared laundry facilities. Everything as described.Janet was fantastic to deal with. Beautiful apt. Great location. We enjoyed our visit very much. Extra towels & sheets great. Needs new dishwasher, parts missing. Dining room chairs sat through, living rm. rug spotted. Balcony rug wrinkled up. Our condo exceeded our expectations and the pictures did not do it justice. Not only was the condo beautifully decorated but the ocean views and sunsets seen from the balcony were breathtaking. The condo was spacious, well equipped, clean and modern - will definitely be back! Without doubt one of the nicest vacation rentals we've stayed in. Spotlessly clean, very comfortable and the kitchen had everything you could want. We actually like to cook on holiday, and this was amazingly well fitted out.The views were gorgeous and we used the balcony every day, although we had a "roomer"several Osprey came and sat on the balustrade watching the Gulf and didn't let himself be distrubed. Really amazing! Condo was in great shape. Clean, roomy, all amenities were there. A couple light bulbs were out but maintenance fixed them quickly. Had a great time all except a baseball team/parents that were staying there for a tournament. They knocked on our door several times a day/night, shot fireworks off in the middle of the night and ran around making noise a lot. Called the cops one night due to an unruly teen and drunken parents. Other than that, it was a great relaxing time. One suggestion would be to change the gate key locks and condo door locks to a combination or electronic key card. The keys stick a lot and are a hassle. Thank you for your review. I am glad to hear the condo met your expectations. I do apologize for the noise from the neighboring guests. Unfortunately we cannot always control some of the negative things in the area. You can always let us know and if they are one of our guests we can contact them. Thanks again and we hope to see you again next year. Great vacation spot! Very professional staff and clean location! Will def. stay here again. Our family absolutely fell in love with our home away from home. The only thing that stood between our scenic level of the Gulf of Mexico was beautiful white sand. We had plenty of room to spread out and enjoy ourselves. The condo overlooked a private pool with security patrolling the grounds. Our Condo was very well equipped with all of the necessities to make our family feel comfort and welcomed. We loved the location as it was not too crowded. Excellent places to eat within a quick drive. We are planning to return next year. North Redington Beach perfect spot! This property was perfectly located and so convenient to the beach. Lots to do in the vicinity. We had six adults, a two year old, a three year old and a five year old and everyone had a fabulous time. The unit was clean, had beach/pool toys and games. We loved it! The people at resorts rental were awesome, so welcoming!! I have stayed in a lot of condos throughout the years and this condo was the nicest most spacious condo for me and my children! Pool was nice and clean and all the other visitors in the condo were so nice and friendly to me and my boys. The isn't a washer and dryer in the units but laundry rooms on even floors. Beautiful peaceful beach, not a lot of wild springbreakers, perfect for my little springbreakers, will be back again! We have gone to Emerald Isle for 7 years and always look forward to the trip. We are already planning next year. Thanks for your review. I do apologize for the inconvenience with the maintenance issues that occurred with the water heater. Its rare something goes wrong that we cannot fix in a day but it unfortunately does happen on occasion. I am happy to report it is resolved now! Thanks again and we hope to see you again next year! Great location. Clean Condo. We were there over the memorial day week and the beach wasnt crowded at all. Felt like we had our own private beach. There is only 2 things wrong with this property the hot water heater is not big enough or its going bad, you only get around 5 min of luke warm water but we got use to it. Also the master bedroom bed is hard as a rock, but we got use to it. I would stay here again. Thanks for such a great review! I am glad you enjoyed your stay. I do apologize for the issues with the water heater. It has been addressed and now there is ample hot water available for all! Hope to see you again next year. The condo was beautiful and only compliant was there was no private washer/dryr and the public ones were either up one for or down or down a floor. But other than that...we absoluately LOVED our stay and will definitely come back again! Great views, very convenient to most attractions. Love it!!! Second time here & looking forward to next time! great condo to stay at. pool and beach clean. condo pretty clean. easy booking, registeration and key pick up and drop off. definitely would stay there again! we had a great time at this rental. could have been cleaner, but wasn't dirty. furniture and décor was outdated. great location. two keys was not enough for the entire party considering you need a key to get in and out of every single door in the condo. we bought a grill and placed it where we were told to put it and it was stolen from the grounds. the pool was too small for the amount of people staying in the condos. the pool was very crowded. We were very pleased with every thing we will definitely be back next year! we were disappointed that the pool was not heated. We did speak to the on site resident and then the pool heat was turned on. but a couple of days later was off again! Thanks for the great review. Not sure what happened with the pool heat. I know that they usually wait until it gets chilly before they put it on but why it was shut later, I am not sure. Next time just give us a call and we can look into it with the Condo Association. Thanks again for the high ratings. 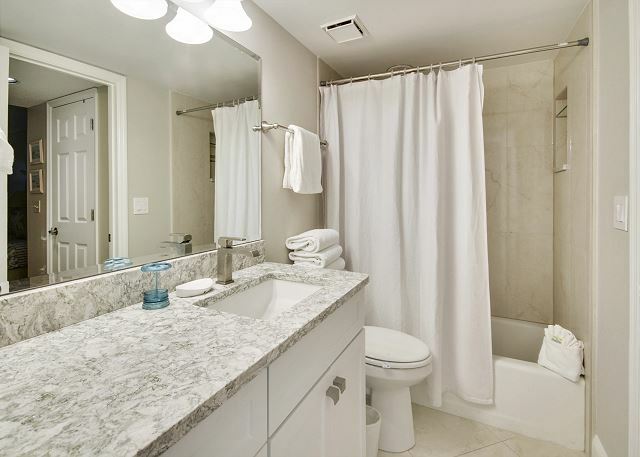 I really enjoyed the condo, the view is perfect, the only thing I think the condo should have more is the towels and if you have the washer and dryer in the condo it would be perfect place to stay. Thank you so much for a wonderful place to stay. 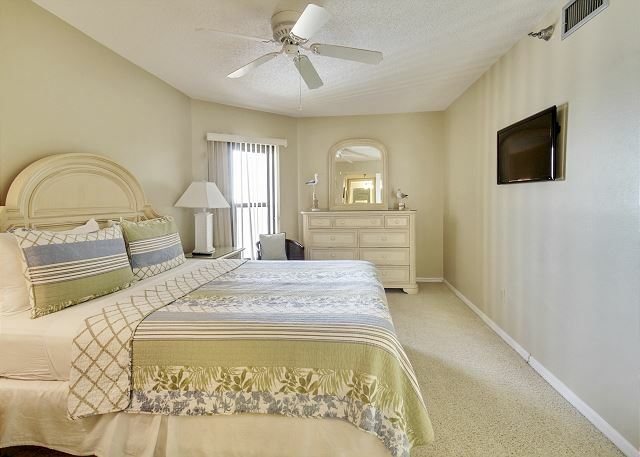 We were very satisfied with everything,The Condo was beautiful and equipped with everything you would ever want,The view was beautiful from the balcony.easy excess to stores restaurants and Johns Pass great place to shop and eat,I would recommend this property to anyone who is interested in a beautiful vacation. Keys to the facility should only be required at night. We loved this condo. The unit is clean and neat, very spacious. We really enjoyed staying here! The condo we staye din was wonderful. Spacious rooms, beautiful balcony views, awesome pool and so relaxing. Would definitely recommend staying here to al loof our friends>! Great property on a very nice section of beach. One point to improve would be to make recycling easier. The vacation was great. Our grandchildren had a wonderful time. The keyed gates were a bit frustrating but we got used to them. 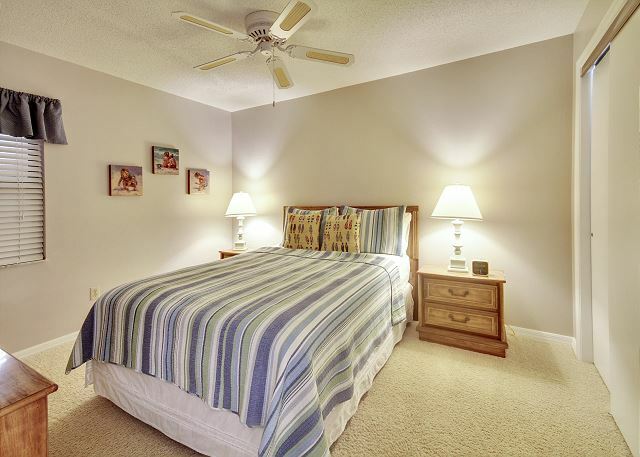 The property has excellent beach access and a well maintained landscaped yard. The unit was clean and well maintained with the exception of some stains on the beige rug. It took us some time to remember our keys for the numerous locked gates, fortunately the other tenents were very helpful with the gates. On checkin day the maintenance man had taken my assigned parking, so I took someone elses parking spot causing general chaos and anarchy. However, this was quickly resolved. Clean beach, clean pool and centrally located. I have been vacationing in the Clearwater area for the last 55 years and in the North Redington Beach area for the last 20 years. This was the first stay at Emerald Isle. It was very enjoyable except for the locked doors and gates 24/7. Suggest the gates be left unlocked during the day. The condo was very nice, but needs tile in the living areas. Hope to stay here next year. The condos were very good, but since there is no full time person on the property, everything required a key. A key was required to get in to pool to get out of pool, to go to beach, to come back from beach to get in lobby, to get into pool restrooms, etc. We had 9 folks in two condos and you can imagine with only 4 sets of keys the problems it presented. Otherwise everything was fine. Parking was limited to 1 per condo and only 2 for visitors and it caused competition for the visitor parking. We really enjoyed our vacation this year although there needs to be some changes. I thought there was one too many locked gates!As soon as we pulled up in the parking lot and walked into the lobby door we were litterally verbally attacked and insulted by Elmer who happened to be living in the condo next door to us! He asked my husband if he knew how to read, yelled at us because he said we did not know the cart rules, etc! Not a pleasant way to start our vacation when we had just drove 19 hrs. We rebooked our condo for next year but I can tell you we heard alot of complaints from other ppl staying at Emerald Isles on Vacation that said they would never stay there again. They were also yelled at constantly from people who lived at Emerald Isles. Elmer left us alone for the most part after the first day once he realized we were there to relax and not 'destroy' the bldg. He didn't have anything to yell at us about because we kept to ourselves and hung out with our friends at the Ram Sea everyday. So, sorry to complain but that is what we experienced while we stayed there. We like the location of the condo and will stay there again next year. 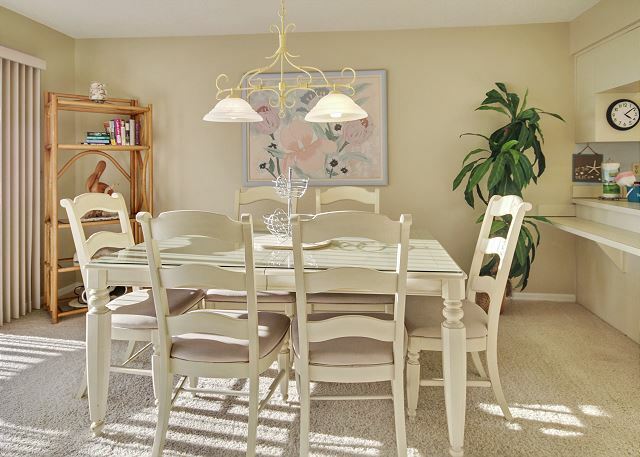 the appartment is well situated in a smallish building-that is good for seniors such as we. Overall our stay was quite enjoyable. The property was in a nice location with a very wide beach. The beach was scraped daily to smooth the sand and remove any debris. The fishing pier is within 100 yards of the condo but causes no issues with swimming or other water related activities. 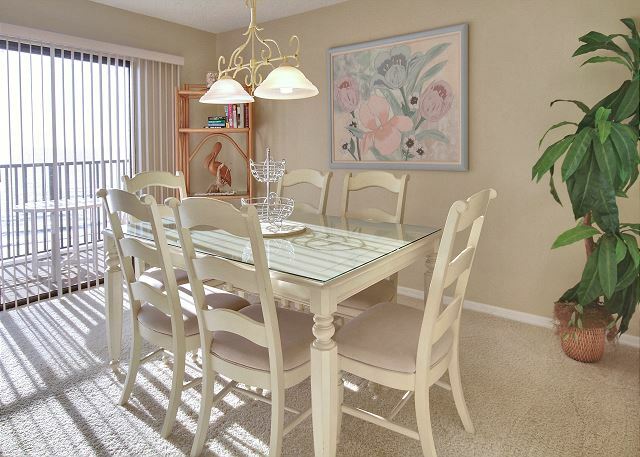 The condo was also conveniently located within 1.5miles of the Pinellas Parkway and within 2 miles of Madeira way. There are also plenty of restaurants within a 1-3 mile range so there is no need to drive quite a ways from the condo. Just a block or so up the street there is a souvenir shop as well. There is also a Shopping Mall located within 5-7 miles which is called Tyrone Square. 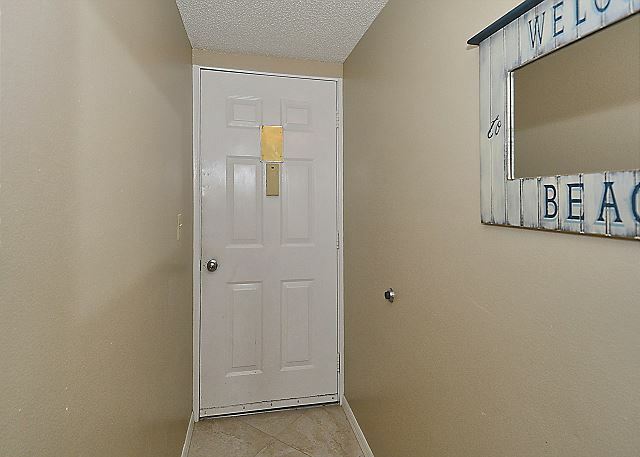 So, overall the property has many great features. The only issues we had while staying at Emerald Isle was related to the locks on the property. The resort had two locking gates on the property to keep non guests from using the pool and also a locking door to keep non guests from entering the condo building. The locks seemed like a constant hassle for everyone on the property. Often you could expect to be standing at the pool gate for 5-10 minutes working to get the lock open. The main condo doors would often open quicker but would still take some time to open. The door to our personal unit also took a few minutes to open on a regular basis as well. So, this became quite a nuisance. A locksmith was called to the property but the locks were only sprayed with a little lubricating oil which did nothing to help resolve the problem. We are glad you had a good experience with us and the locks were changed in the fall of 2010....! This is our fourth year at Emerald Isle, love the place and its layout. Will be back next year. Roomy condo.Great location.Condo equipped with everything you need.We were disappointed in the kitchen. Utensils were not in the best condition. (ie.pots & pans,dishes and silverware). Also parking is very limited. We had 2 cars and had to pay to park 1 of them.Overall we enjoyed our stay tremendously and would stay at the same condo again. The unit was spacious, very clean & the unit layout was awesome. The kitchen was stocked with every utensil you needed & they were in good shape. The dishwasher was fantastic because it held sooooooooooo many items at once. The grounds are very well maintained & you won't find a cleaner pool. The staff is friendly, professional & helpful. We also enjoyed meeting & talking with the other guests - many were returnees. It is a small condo building (24 units)by beach standards & that was a real plus - very quaint & quiet! The assigned parking space was a real plus. We had a fabulous fun family vacation & plan to return next summer. Unit 502 at Emerald Isle served our family very well during our vacation. It had everything needed for a home like environment on the beach. It was very quite. 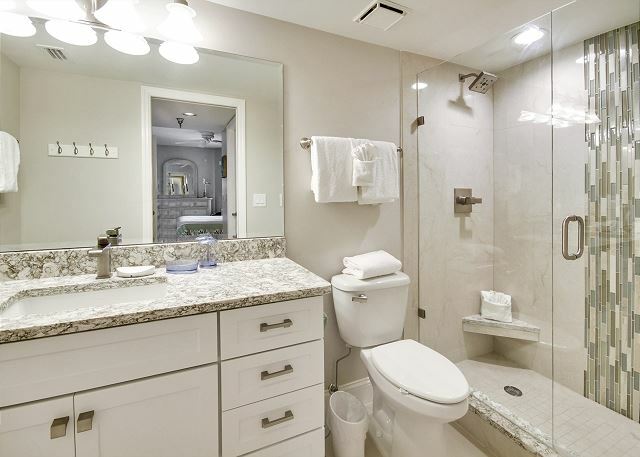 Very nice condo and very clean. There are not a lot of restaurants/bars in walking distance so be sure to have some sort of transportation. Need keys to get in and out of everything which can be very annoying. Pool was probably the cleanest pool that I have ever seen.